I like the idea of Deep Thoughts, so ominous and important. Sitting around solving problems, contemplating the universe, or perhaps, just remembering to pick up milk on the way home. Wouldn’t it be great if you could hire a cleaning crew to get rid of some embarrassing moment you want to forget, or a hazmat crew to sanitize your darkest secrets, or a cheerful group of elves to climb into recent memories and retrieve the happy ending to the dream you couldn’t quite recollect when your eyes opened? Dig in, there are plenty of deep thoughts to go around. 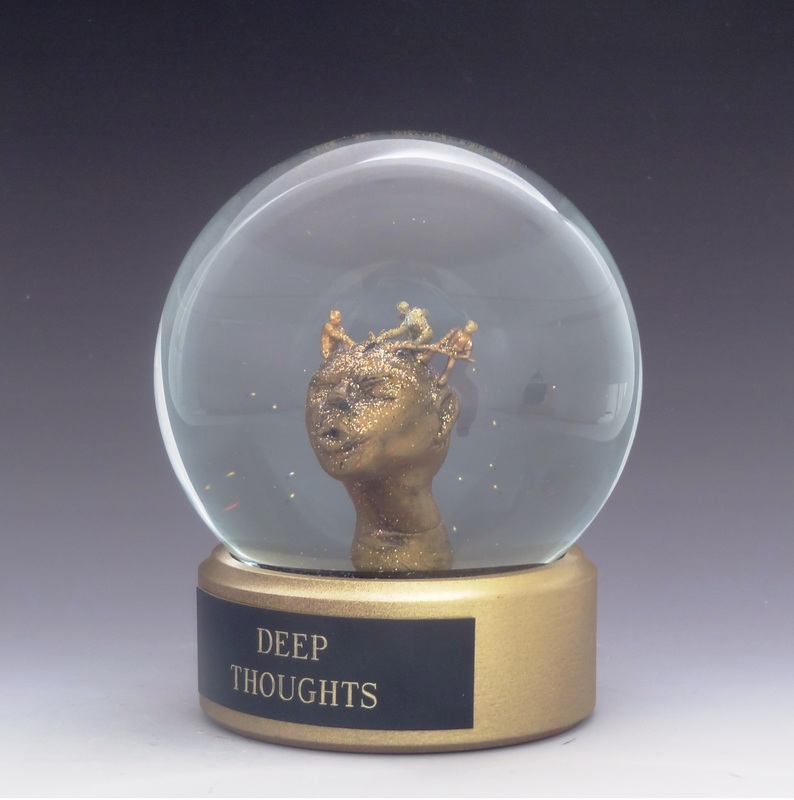 “Deep Thoughts” one of a kind snow globe/waterglobe with sculptured miniature clay head and tiny workers digging deep into one’s mind. All designs and images are copyright (c) 2014 Camryn Forrest Designs, Denver, Colorado, USA.